2 Bedroom Flat For Sale in Stockport for Offers Over £110,000. This lovely forth floor two bedroom property is offered to the market with no onward chain; the property internally is bright, spacious and in brief comprises of; entrance hall, multiple storage cupboards, open-plan lounge with kitchen area and breakfast bar. Also there are two double bedrooms and a modern family bathroom. 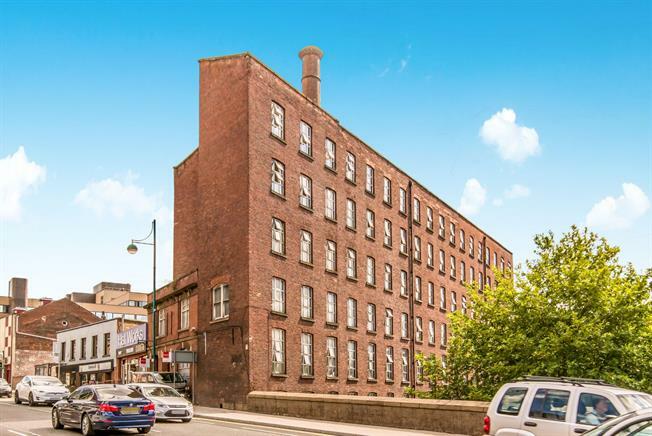 This property would make a perfect purchase for a first-time buyer or an individuals looking to take advantage of the transport links in the area.